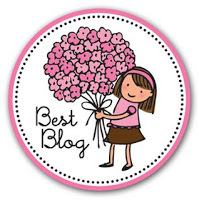 Lacquer Reverie: Best Blog Award! 1. Answer the questions asked by the blog who nominated you. 2. Nominate up to 20 other blogs with less than 200 followers. 3. Create 11 questions for them to answer. Winter. I love faux fur. 2. Do you have an iPhone? No. People who are constantly on their phones drive me insane. 3. Are you currently studying? 4. How long have you had your blog for? 5. Have you done any nail art tutorials on your blog? No. Nail art scares me. 7. Do you enjoy baking? I enjoy nothing culinary. I'd rather clean up a kitchen any day than cook in it. 8. What polish have you worn that has stayed on the longest? 10. Does it snow where you live? It snowed in 1989 and hasn't since. 11. Have you ever been to London? No, but I want to visit the Tate Gallery and see Waterhouse's The Lady of Shalott in person. Then I can die happy. 1.What is your favorite nail polish brand? 2.What's your favorite glitter polish? butter London The Black Knight...although that's a love/hate relationship. 5.If you could live any where in the world, where would you live? Where I live now. My hometown is beautiful! 6. Do you like to work out? I love to play Just Dance for Wii. That's a workout. Just YOU try Livin' La Vida Loca. 7. How many polishes do you own? 9. How do you store your polishes? 10. Is there color you would not wear? The light orange variety is frightening on me. 11. Do you collect other things besides nail polish? 1. Are you a people person or a loner? 2. If you were a weather event, what would you be? 3. Glitter, creme, metallic, frost, foil, or duochrome? 4. What has been your favorite vacation? 5. Do you match your nails to your clothing? 6. What do you consider to be your best physical feature? 8. What do you consider to be your best attribute? 9. When reading other blogs, do you read the content, look at the photos, or both? 11. Had you rather be intelligent, funny, beautiful, or wealthy? Congrats on the award! :) Loved reading your answers. I have a love/hate relationship with The Black Knight too! Thanks for nominating me! I loved reading your answers!